Hello and welcome to the Arsenal transfer roundup for the day. Another moderately busy day for the Gunners as they seek to strengthen their team under the new era of Unai Emery. 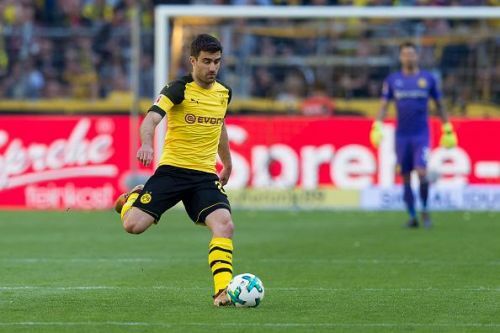 There is a bit of an update on Lucas Torreira, Gelson Martins, Mario Gotze and Arsenal’s pursuit of Sokratis Papastathopoulos – so without further ado, let’s begin! While the Gunners might not have been pleased to not see him start for Uruguay, they might find peace in the fact that the Sampdoria star is close to joining their club. According to David Amoyal, Torreira has a release clause of €25 million. However, the money will have to be in full and in one go. Arsenal, meanwhile, prefer paying it in installments and are actually open to paying an eventual €30 million for the Serie A star. He said: “As far as the transfer fee between Sampdoria and Arsenal, that is the easy part of this. “The exit clause is a relatively low amount - €25m. That would be payable in one payment, one installment. “Arsenal and Sampdoria are fine with making that transfer fee €30m (£26m) and having Arsenal pay it over multiple years, which would make it an easier pill to swallow. “The tougher part is reaching an agreement with the player." The terrifying events at Sporting – where fans attacked players during a training session – means that some players are set to cancel their respective contracts with the much-storied Portuguese outfit. Gelson Martins is one such player, whose contract with Sporting consists/consisted of a €60 million release clause. However, he is going to cost much less now – and that is precisely why there is interest in him. According to Corriere dello Sport, Arsenal and Milan are set to go on a war against each other to sign Martins, who, they add, is going to attract more attention from the Premier League. 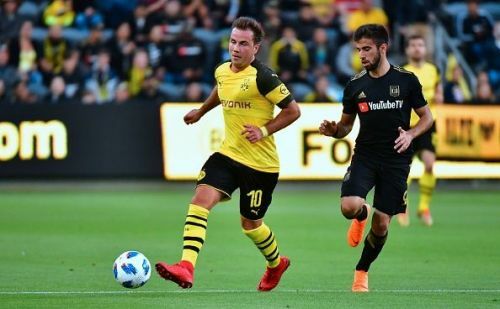 It has only been a day since Mario Gotze has been linked to a move to the Premier League and now, Mirror have created their own exclusive, reporting that the German is interested in going to England in an attempt to resurge his career. The 2014 World Cup winner has seen his career take a nosedive ever since joining Bayern Munich from Borussia Dortmund, where he once again returned – but is yet to hit the heights he once hit. Arsenal were all set to sign the Greek defender, but they may have a hindrance in the path in the form of Juventus. Tuttomercatoweb report that the Old Lady are trying to make a late swoop for the Borussia Dortmund star, who is on the brink of joining Arsenal. Watch this space as things spice up. Who could be Arsenal's new signings this summer?